In 1996 the MOT test was extended to include Front Windscreens which meant they had to be inspected for any damage from small stone chips, wiper scratches, cracks or any other type damage that may cause concern or impact a vehicle’s safety. 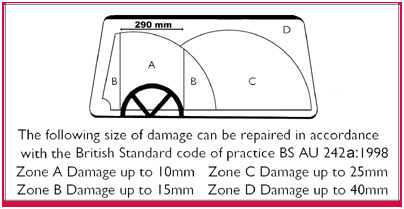 This is simply to help you access whether your windscreen, if damaged, could be an issue for the MOT tester. Contact VOSA or go online to; www.vosa.gov.uk where you can read in full the regulations and guide note. Alternatively pop at Autoscreens office or take advice from a MOT station/ garage. 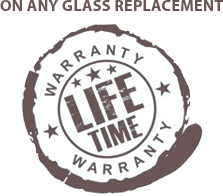 Getting a chip repaired before your MOT test will save you time and possible cost and inconvenience of a re-test. Autoscreens will always ‘Repair 1st’ (that is our policy) before considering a replacement, however if the damage is in your line of vision a repair in this area can still cause distraction and therefore maybe unsafe. Always we make sure you are happy with the work as your safety is important to us. If your windscreen is unrepairable due to large cracks or stone damage, a new windscreen replacement is needed to pass its MOT test. Call us anytime to discuss any windscreen damage before you take your vehicle for a MOT test – we’re here to help you. Find more information at; www.vosa.gov.uk.